MOGADISHU (HAN) September 20.2016. Public Diplomacy & Regional Security News. Somalia accused Kenya on Tuesday of unnecessarily prolonging a battle over lucrative Indian Ocean oil and gas reserves, saying “both impoverished nations” had an interest in swiftly resolving the dispute. And Mogadishu also slammed Nairobi for criticising its Horn of Africa neighbour for turning to the UN’s top tribunal, the International Court of Justice, to adjudicate in the row. “We seek nothing more and nothing less than to have our maritime boundary dispute with our Kenyan brothers and sisters be resolved finally and definitively in an equitable manner,” lawyer Mona al-Sharmani, arguing on Somalia’s behalf, told the tribunal. Somalia had only turned to the ICJ after years of “hard, and at times heated” negotiations with Kenya proved to be “to no avail,” she said. At the heart of the dispute is how to draw the maritime border off their coasts. Both countries lay claim to a triangle of water, which stretches over an area of more than 100,000 square kilometres (40,000 square miles) and is believed to hold valuable deposits of oil and gas. Kenya is a relative newcomer to the oil industry, but is believed to have major potential in a part of Africa only recently found to be sitting on significant reserves. Somalia, which lies north of Kenya, wants its maritime border to follow south extending from the line of the land frontier. But Kenya wants it to go in a straight line stretching directly east from the coast, along the line of latitude. 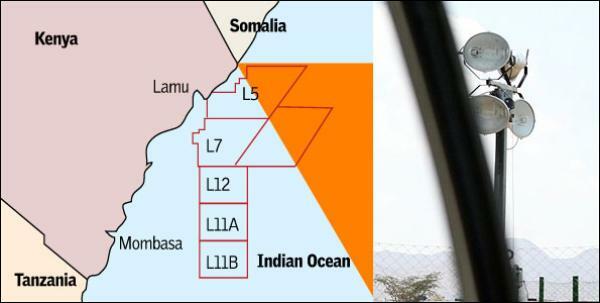 And Nairobi has already sold off concessions on three oil blocks in the disputed area to Italian energy company EniSpA. “We could not even agree on a method of delimitation, let alone a boundary,” said Sharmani. Somalia filed its suit in 2014 with the ICJ in The Hague, set up to rule in disputes between member states, and the tribunal is now considering whether it has the jurisdiction to hear the case. Lawyers for Mogadishu also slammed Kenya’s attitude as “puzzling”, saying it was a “developing country, legitimately in a hurry to develop … and just as impoverished as its neighbour” Somalia. “And yet Kenya seems to be trying its best to slow things down and prevent the dispute between the two countries … from being settled rapidly,” lawyer Alain Pellet told the court. At the start of preliminary hearings on Monday, Kenya argued the tribunal was not competent to rule in the case. Basing its argument on a 2009 bilateral accord, it asked the panel to dismiss Somalia’s request. Somalia President Hassan Sheikh Mohamud recently told the media in Mogadishu that that the country was placing great efforts to affirm its sovereign rights over the disputed border. “We did not do any harm, we have only gone to reclaim what is ours. We have had negotiations with Kenya for six years but could not move forward. Instead of exchanging words in the media, we have taken a legal route and I am optimistic that we will win the legal process,” said President Mahmoud. The hearings will continue on Wednesday and Friday, and the ICJ will rule later whether to take up the case.